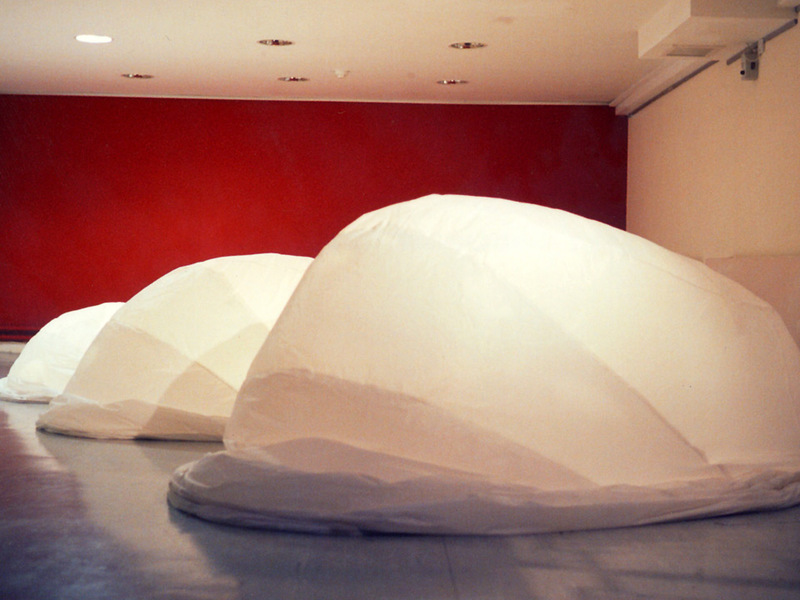 Location Inflation specialising in inflatable design and was formed in 1996 by Rachel James. Currently Rachel is artist in residence at St Luke's Community Centre, EC1V where she has been introducing members of the local community to inflatable sculpture. Rachel completed a BA (hons) in Fine Art at Cardiff University of Wales. After leaving college she was prompted to create inflatable work when faced with storage solutions for welded and forged sculptures. As a consequence of her inflatable exploration came the development of Location Inflation and a colourful array of lively commissions for clients in varied professions. This includes design for theatre, window displays, commercials, costumes, educational projects and décor. These projects continue to push the boundaries of her skills and knowledge, with each commission presenting a different challenge. 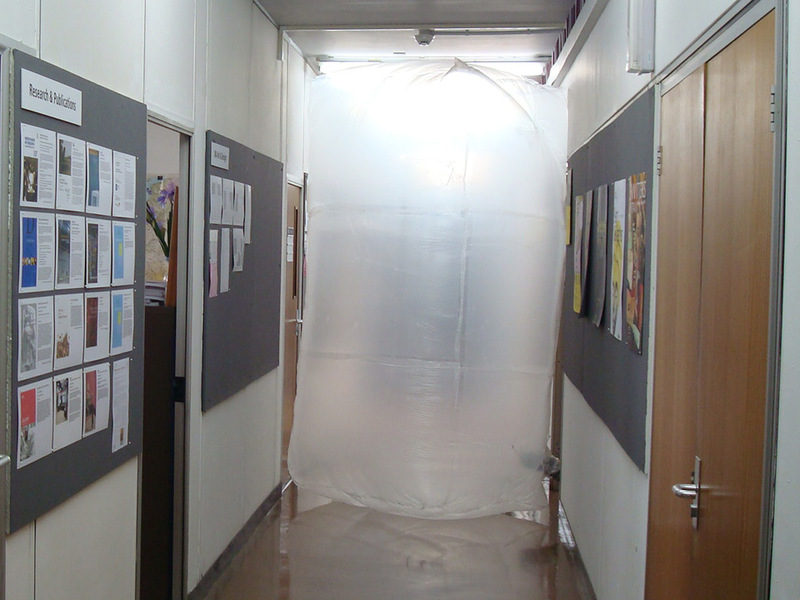 Our work ranges from set design to costumes, from children’s arts projects to department store window displays. Our experience and diversity enables us to provide the effect our clients desire. Rachel increasingly found herself attracted to sharing knowledge and wanted to develop better understanding on how to engage people in creative and innovative workshops. Deciding to research this area further by studying a MA in Art and Design in Education at The Institute of Education, London. 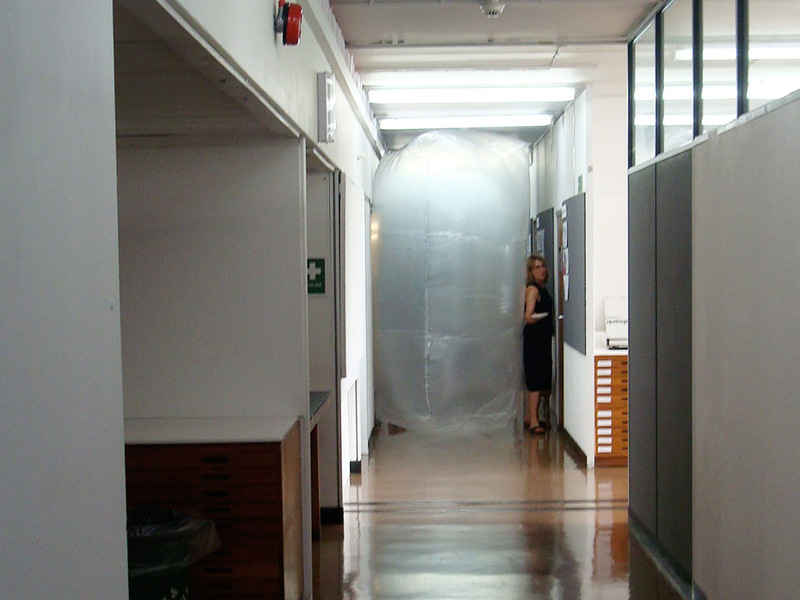 Resulting in a dissertation project entitled Capturing Air... Capturing Life (2013) which asked how could she successfully take this practice rooted in the inflatable medium with which she was commercially engaged and turn it towards an educational practice. 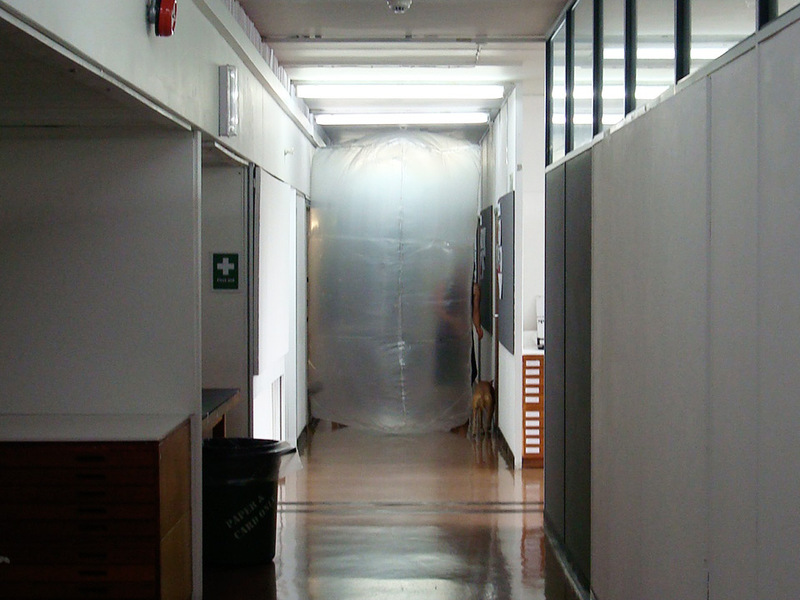 Which required both a reconnection to her Fine Art practice and a drawing together of experience and skills gained from Location Inflation's commercial projects. This research inspired new ways of working. The project was developed further with students on the Foundation Art and Design Course at Camberwell, Chelsea and Wimbledon Art Colleges. Her intension for the 4 day workshop being that the students were to experience the qualities of the inflatable medium rather than get bogged down in the complexities of construction by developing lo tech methods of working simple forms, this encouragingly resulted in a very assorted response. However the overriding quality exposed by inflatables' transformational qualities was its ability to invite human interaction; the thesis study then became divided into three main areas the body and the object, the body inside the object and the object worn on the body. This study also demonstrates the adaptability of the inflatable medium and suggests that this medium's use is underestimated in art education. Rachel continues to raise this mediums profile in education and promote the accessibility of this exciting medium to all. Over the last few years I have been keen to experience new ways of working. Experimentation into continuous action between movement, making and recording through video has developed a new understanding. By initiating a flow between these activities it is an attempt to almost switch off and work from an unconscious level. A different perspective of my experience was captured from the recording of the camera. This appeared to encourage the next step of the work to emerge bringing forth new understanding in order to cultivate a very intuitive way of working. As I used this approach to research 'what attracts me to working in the inflatable medium' it highlighted my attraction to its metamorphic, ephemeral qualities but also its slightly humorous and playful qualities. 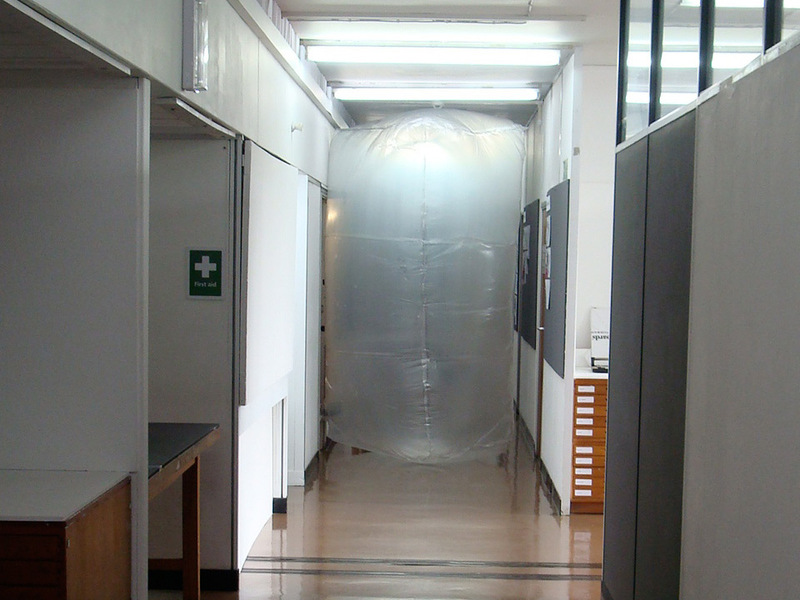 The bag of air filmed in Capturing Air... Capturing Life almost gave me permission to play, interrupt and block space in the Institute of Education building. It also put me in the position of the learner like the students I taught at Camberwell, encountering the unknown, risk taking, and experimentation in order to take ownership of this piece. As a consequence more personal interests and concerns became apparent. This technology enabled the creation of an installation piece shown in Imaginary Landscapes at The Hub in Lincolnshire and in the Oxford House Gallery London. Rachel was inspired to make the work from time spent in Spain practicing yoga in the hills; from feelings felt during practice of a oneness with her surroundings as if the land breathed with her. The form relates to the distant horizon of how the landscape is seen as it is reduced to a slither as it meets the sea. The resulting piece produced a very meditative surrounding within the gallery space which mesmerised viewers and reportedly slowed their breathing in time with the undulating breath of the installation piece.